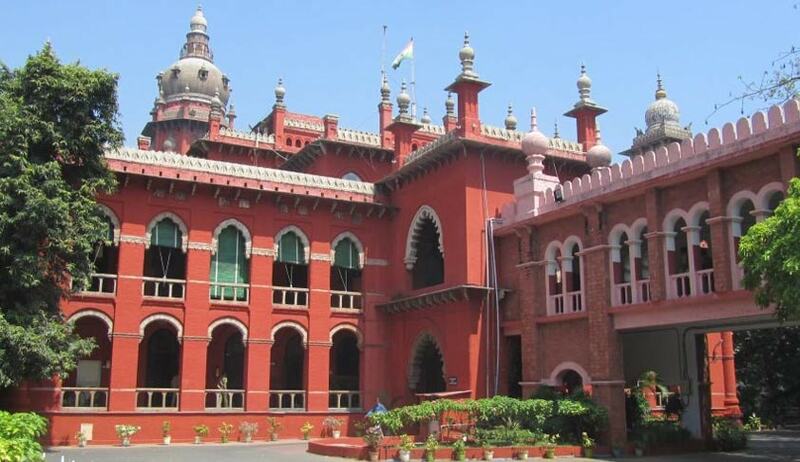 Madras High Court, has introduced new sets of disciplinary rules for the Advocates through an amendment, enabling it to debar lawyers who indulge in objectionable behaviour. In a notification published on 20th May 2016, new Rules 14A, 14B, 14C and 14D has been added to the existing Rules under Advocates Act. According to newly introduced Rules, an Advocate can be debarred from appearing before the High Court or Subordinate Courts permanently or for a specific time period, if he is found to have accepted money in the name of a Judge or on the pretext of influencing him or An Advocate who browbeats and/or abuses a Judge or Judicial Officer; oris found to have sent or spread unfounded and unsubstantiated allegations/petitions against a Judicial Officer or a Judge to the Superior Court. Notification also says that an Advocate can also be debarred for actively participating in a procession inside the Court campus and/or involves in gherao inside the Court Hall or holds placard inside the Court Hall. An Advocate who appears in the Court under the influence of liquor and the one who is found to have tampered with the Court record or Court order, is also liable to be debarred. High Court and Court of Principal District Judge has the power to initiate action against the above mentioned misconducts by the advocates in High Court and Subordinate Court respectively. Before initiating action against an Advocatehe/she has to be summoned and be required to appear and show cause against the alleged misconduct. Section 34 of the Advocates Act empowers the High Court to make rules laying down the conditions subject to which an advocate shall be permitted to practise in the High Court and the courts subordinate thereto.In February, certain lawyers had shouted slogans in the High Court premises asking Chief Justice Sanjay Kishan Kaul to go back to Kashmir or Delhi.In another instance, the High Court in a Suo Motu Contempt initiated against several lawyers, had observed that the Advocates, should not be ‘fence eating the grass’ and should not impede the running of the Courts, place bottlenecks on the road to justice.